Like “THE WHEEL OF FORTUNE”, the novel’s last segment proved to be the most difficult for me. Narrated by Sarah and Patrick’s oldest child, Ned, I had some difficulty relating to the character. Perhaps Ned was simply too young. After all, he aged from thirteen to seventeen or eighteen years old during this last segment. But I recall that one of the segments of “THE WHEEL OF FORTUNE” had been narrated by a character named Christopher “Kester” Goodwin, who aged from nine to nineteen years old. I had no problems with the Kester character from “THE WHEEL OF FORTUNE”, but I did with the Ned de Salis character. Why? Perhaps I did not find him that fascinating. Or perhaps I found his penchant to view his father as a hero, Maxwell Drummond as a villain and his mother as a stooge for Drummond a little too simple for me to stomach. I find it difficult to relate to characters who harbor one-dimensional views about life and other people. And because Howatch ensured that Ned never learned what his mother had endured at the hands of Patrick and the latter’s lover/estate manager, Hugh McGowan, I found my ability to relate to him even more difficult. I have read some reviews of “CASHELMARA’ and discovered that a good number of readers managed to enjoy this family saga very much. 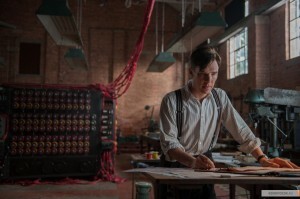 Only a handful seemed to regard the characters as unsympathetic and not worthy of their interest. I believe that a first-rate author could create a sympathetic character with unpleasant traits, if he or she had a mind to do so. 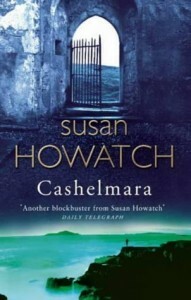 Susan Howatch certainly managed to create some very interesting characters – aside from one – for“CASHELMARA”. She also created a first-rate family saga that still remains fresh after forty-one years.